The historic call by Palestinian civil society for boycott, divestment and sanctions against Israel until it fully complies with its obligations under international law contains a rarely noticed dimension inspired by struggle against South African apartheid. It invites “conscientious Israelis to support this Call, for the sake of justice and genuine peace,” thereby confirming that principled anti-colonial Jewish Israelis who support the Palestinian people’s inalienable right to self-determination, and who uphold freedom, justice, and equality for all as the bases for a just, comprehensive, and sustainable peace, are regarded as partners in the struggle. Because it is a distortion of being more fully human, sooner or later being less human leads the oppressed to struggle against those who made them so. In order for this struggle to have meaning, the oppressed must not, in seeking to regain their humanity (which is a way to create it), become in turn oppressors of the oppressors, but rather restorers of the humanity of both. In 2009, Boycott! Supporting the Palestinian BDS Call from Within (or “Boycott from Within,” for short), a growing movement in Israel, fully adopted the Palestinian call for BDS, and committed to its principles, showing the way for genuine Israeli opposition to occupation and apart- heid. Israeli groups that have endorsed the BDS call include, among others, the Alternative Information Center (AIC), the Israeli Committee Against House Demolition (ICAHD), and Who Profits from the Occupation? (a project of the Coalition of Women for Peace), all of which have played vital roles in providing political, moral, and often logistical and information support to the global BDS movement. Who Profits?, for instance, has kept an updated database of Israeli and international corporations involved in the occupation, a list that is often used by stockholders of pension funds, banks, and international institutions to select their BDS targets and build their cases against them. In contrast to this principled Israeli support for BDS, some writers and academics on the Zionist “left” in Israel and the West have a tendency to frame the struggle as Israel-centric. They focus on ending the occupation alone, thus ignoring the basic rights of the majority of the Palestinian people, and they base their support for withdrawing from most of the occupied Palestinian territory on the argument that it would be in Israel’s best inter- est, above everything else, as if that should be the overriding concern for anyone seeking justice and human rights. A common factor in their work is the omission or sidelining of the Palestinian origins of the movement, the BDS National Committee (BNC) and the BDS call, along with an attempt to design their own guidelines for applying the boycott—guidelines whose entrenched colonial attitude is hard to miss. The BNC always welcomes initiatives calling for a partial or selective boycott of Israel and its complicit institutions, so long as they do not undermine or negate the basic rights of the Palestinians. Some Zionists now calling for a selective boycott of Israeli academic and cultural institutions based in colonial settlements, after decades of silence in the face of a brutal system of occupation and apartheid, are doing so explicitly in order to undermine or circumvent the wider, more principled, and far more morally consistent BDS campaign. Rather than weakening BDS, though, such campaigns are in fact contributing to making the ground more fertile for its future growth, by vindicating the logic of BDS—namely, that pressure, not appeasement, is the only effective way to end Israel’s violations of international law. Soft Zionists have always tried to maintain a gate-keeping role in channeling solidarity with Palestinians and reducing it to focus specifically on a small subset of Palestinian rights, while actively opposing any attempt to develop an independent, Palestinian-led resistance strategy based on the quest for self-determination and justice. With the advance of BDS, this Zionist gate-keeper hegemony is largely in tatters. Soft Zionists are taking this quite harshly, some going as far as to accuse Palestinian civil society of “betraying” them, and harming its own interests in the process. In their self-centered worldview, typical of apologists for colonialism anywhere, they think that if they withdraw their support, Palestinians will lose their only hope for emancipation. But this patronizing, colonial discourse has been largely discredited, and increasingly revealed as a fraud, feeding the egos of its proponents while safeguarding Israeli apartheid. 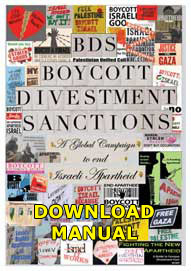 The BDS movement totally rejects the “save Israeli apartheid” view, for it strives to end the occupation alone without addressing the internation- ally recognized right of the great majority of the Palestinian people, the refugees, to return to their homes and receive reparations, and omits any mention of the need to end Israel’s legalized and institutionalized system of racial discrimination, or apartheid, against the indigenous Palestinians—i.e. “non-Jews”—who hold Israeli citizenship. This school of thought seeks, often quite overtly, to strengthen apartheid demographically by getting rid of some four million Palestinians (in the occupied territories), thus main- taining Israel’s character as an ethnocentric, racist, and exclusivist state for decades longer. The litmus test for any Israeli group claiming to support human rights and a sustainable peace based on justice and international law is, therefore, whether it is ready to support the most basic right to full equal- ity for the indigenous Palestinians. “Equality or nothing,” as the late Edward Said insisted. The struggle over Palestine, as Edward Said argued, is not a symmetric struggle where “both sides” are in “conflict”; it is a case of settler colonial- ism that is now increasingly recognized as entailing both occupation and apartheid. Advocacy of dialogue and coexistence to overcome “entrenched hatred” and reach a compromise on “competing claims,” as is often rehearsed in the mainstream Western media, is therefore entirely misplaced, and based on false premises. Above all, the struggle is one for freedom, justice, and self-determination for the oppressed, which in turn might liberate the oppressor. Only through an end to oppression can there be any real poten- tial for what I call ethical coexistence—coexistence based on justice and full equality for everyone, not a master–slave type of “coexistence” that many in the “peace industry” advocate. 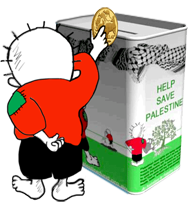 The boycott criteria adopted by Palestinian civil society and advocated by the BNC set two conditions without which relations between a Palestinian side and an Israeli side would be regarded as constituting normalization. Normalization, in the Arab—including Palestinian—context, is defined as the development of joint relations and projects with an Israeli side that gives the false impression of normalcy despite the continuation of colonial oppression. Such projects and relations, by definition and in effect, attempt to ignore or sidestep, and therefore normalize, the abnormal: Israel’s colonial oppression. The two conditions guaranteeing a normalization-free relationship, as set by the Palestinian Campaign for the Academic and Cultural Boycott of Israel (PACBI) and adopted by the great majority of Palestinian civil society since November 2007, are 1) the Israeli side must recognize the internationally sanctioned and inalienable rights of the Palestinian people, including the right to self-determination; and 2) the project itself, regardless of its exact nature (cultural, academic, environmental, medical, feminist, or whatever), must have as one of its main objectives resistance against the occupation and apartheid. As one Palestinian youth activist puts it, under conditions of colonial oppression genuine coexistence between the communities of oppressors and oppressed should entail co-resistance (that is Israeli alongside Palestinian resistance) to oppression. Some skeptics have argued that, far from winning over Israelis or weakening support in Israel for the state’s violations of Palestinian rights, boycotts tend to trigger acute paranoia among Israelis, as well as inducing an aggressive siege mentality. This may be true at first—as in every colonial society, where the oppressor community sets aside internal discord and bands together, or “circles the wagons,” against perceived external threats of isolation that can lead to a pariah status. At that stage, prospects for the internal struggle to challenge the structures of colonialism and apartheid seem remote at best, if not altogether delusional. But when the internal struggle, led by Palestinians and supported by conscientious Israelis, combines with the struggle from outside to generate sustainable and effective pressure that sharply raises the price of oppression, this seemingly invincible garrison-based unity starts to crack. The fact that BDS is categorically opposed to all forms of racism and racist ideology, including anti-Semitism, can only enhance the pros- pects of this transformative process. The courageous Israeli BDS group, Boycott from Within, is keenly aware of this equation, which is known to be true from struggles across the world—in South Africa, France during the Algerian liberation struggle, the US in Vietnam, and so on. A tipping point will be reached in which Israel’s oppression is met with substantial resistance—primarily from the Palestinian people, but also from the wider Arab World and the world at large, and particularly in the form of sustainable BDS campaigns leading to comprehensive UN sanctions (as was the case in the struggle against South African apartheid). When such a point is reached, Israel’s economy will suffer tremendously, at which point the BDS movement inside Israel will gain substantial momentum. At that stage, ordinary, apolitical Israelis will start rethinking whether they want to continue “living by the sword,” as Sharon put it, as a world pariah in a state that lacks economic prospects and that is shunned and widely boycotted by international civil society, and even by other states. Then, under over- whelming pressure from both within and without, the natural human quest for normalcy, for a peaceful and economically viable life, will lead many of those Israelis to withdraw their support for Israeli apartheid and occupa- tion. Many may even actively join movements that aim to end both. The collapse of the multi-tiered Israeli system of oppression will then become only a matter of time. The experience of the South African anti-apartheid struggle, despite obvious differences, demonstrates this pattern of events. Viewing BDS as a “strategic threat” to the Israeli establishment, as a leading Israeli think tank and several ranking officials have done, and frustrated at its utter failure to hinder the fast spread of the movement on a global scale, Israel has decided to use legal measures to suppress support for BDS, at least under its jurisdiction. Much controversy has arisen since July 2011, when the Israeli parliament passed legislation effectively criminalizing support for any boycott against Israel or its institutions, under threat of heavy penalties (at minimum), without the need to prove “guilt,” or even correlation between the expression of support for the boycott and any claimed damages Dozens of Israeli civil society organizations and leading legal scholars, including many opposing the boycott, have resolutely opposed this exceptionally authoritarian law on diverse grounds, ranging from the most principled to the straightforwardly pragmatic. Mostly missing from the debate has been the Palestinian perspective. Given that this law was entirely motivated by the spectacular growth in recent years of the global BDS movement against Israel, and the correspond- ing growth of support within Israel for BDS or for various selective boycotts that refer to international law, this absence is highly significant. Amnesty International condemned the new Israeli bill, saying it would have “a chilling effect on freedom of expression.” Members of the European Parliament raised similar concerns, while the EU itself, typically submissive to Israeli–US interests, expressed alarm at the law’s implications for basic rights. Even a New York Times editorial slammed it as undemocratic. All this will do further damage to Israel’s already low standing in international public opinion. It is as if Israel, by passing this law, has pushed the fast-forward button in the process of digging the grave of its own occupation and apartheid policies. The passage of this exceptionally draconian law, which blatantly stifles free speech, shows that Israel is ready to sacrifice one of its very last masks of “democracy” for the sake of crushing the BDS movement with an iron fist. This provides further irrefutable evidence of the level of panic in the Israeli establishment at the dramatic expansion and rising impact of the movement. It also proves, once again, the futility of all the other unsavory weapons in Israel’s massive arsenal of intimidation, smears, threats, and bullying in combating BDS—which, as a nonviolent, morally consistent movement, has dragged Israel into a “battlefield” where even its daunting nuclear weapons are rendered ineffective. The Israeli establishment’s attempt to justify its repressive new law in the cause of countering a movement bent on “delegitimizing” it and calling into question its very existence has failed to convince any significant portion of world public opinion. Most observers cannot but ask, why was the anti- apartheid boycott of South Africa not considered a threat to the existence of the state? Similarly, did ending segregation in the southern states of the US delegitimize whites, or end their existence? In fact, the only things that justice and equality delegitimize are injustice and inequality. BDS aims to “delegitimize” Israel’s occupation and colonial policies and structures. And it seems many in international civil society are gradually moving in the direction of supporting the movement and bringing closer Israel’s South Africa moment. To those who may say that this law will corrupt Israel’s democracy, one can only ask whether a state that has dozens of laws discriminating against its “non-Jewish” citizens based solely on their religious-ethnic identity can be called a democracy. Can a state involved in occupation, forced dis- placement, siege, and denial of the basic rights of refugees be regarded as a democracy? The prominent Israeli historian, Ilan Pappe, calls Israel a “herrenvolk democracy”—a democracy only for the masters. Israel sweeps all the criticism against it, both justified and unjustified, under the same anti-Semitic rug. It is actually we who are repeatedly mixing up proper criticism of Israel with anti-Semitism. The reason is to avoid at any price having to confront the situation and make tough existential decisions: the occupation, the injustices, the discrimination, the persecution of the non- Jewish minority in our midst … There is no other country in the Western world from which the international community has been willing to put up with acts of state violence for five decades, other than Israel … And there is no other colonialist left in the world, other than “the only democracy in the Middle East.” The world is still putting up with all this, but not for much longer—it will soon be over. If Palestinian activists learned anything from the South African struggle, it is that the darkest moment is the one that precedes dawn. In an ironic way, this new Israeli law may be a harbinger for that darkest moment, with no masks or pretense, and beyond which the light of freedom and justice will become visible. 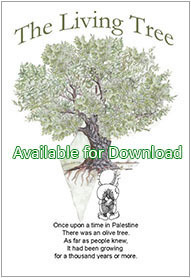 While the BDS movement is not an ideological or centralized political party, it does have a Palestinian leadership, the BNC, and a well developed and clearly articulated set of objectives that comprehensively and consist- ently affirm Palestinian rights in terms of universal principles of international law and human rights. The heart of the call for BDS is not the diverse and contextualized boycotting acts it urges, but this rights-based approach addressing the three basic, UN-sanctioned rights corresponding to the main segments of the Palestinian people. Ending Israel’s occupation, ending its apartheid, and ending its denial of the right of refugees to return—together, these constitute the minimal requirements for justice and the realization of the inalienable right of Palestinians to self-determination. Support for the BDS movement entails the upholding of freedom, justice, and equality as an irreducible basis for a just and sustainable peace. Lighting the torch of dissent by building support for this movement in Israel represents an indispensable part of the struggle. Parts of this chapter are based on text published in Omar Barghouti, Boycott, Divestment, Sanctions: The Global Struggle for Palestinian Rights, Haymarket, 2011. Paulo Freire, Pedagogy of the Oppressed, available at laconstituciondel peru.org. Boycott! Supporting the Palestinian BDS Call from Within, at boycottisrael. info. Alternative Information Center, at alternativenews.org. Israeli Committee Against House Demolitions, “About ICAHD,” at icahd. org. Who Profits? Exposing the Israeli Occupation Industry, at whoprofits.org. Palestinian BDS National Committee, at bdsmovement.net. This section is based on Chapter 16 of Barghouti, Boycott, Divestment, Sanctions. Edward W. Said, The Question of Palestine, Vintage, 1992. For more on this, see “United Against Apartheid, Colonialism, and Occupation: Dignity & Justice for the Palestinian People,” Palestinian Civil Society’s Strategic Position Paper for the Durban Review Conference, Geneva, April 20–24, 2009, at bdsmovement.net. For more on this, see Faris Giacaman, “Can We Talk? The Middle East Peace Industry,” Electronic Intifada, August 20, 2000, at electronicintifada.net. Maath Musleh, “Opinion: Co-resistance vs. Co-existence,” Maan News Agency, July 17, 2011, at maannews.net. This section is based on Omar Barghouti, “Dropping the Last Mask of Democracy,” Al Jazeera, August 3, 2011, at english.aljazeera.net. “Eroding Israel’s Legitimacy in the International Arena,” January 28, 2010, at reut-institute.org. “Knesset Passes Boycott Law; ACRI Plans to Appeal,” July 12, 2011, at acri. org.il. “Leadership of Palestinian Boycott Campaign Responds to New Law,” July 12, 2011, at bdsmovement.net. Arik Bender, “’Boycott Law Passes Second and Third Reading in the Knesset,” Maariv, July 11, 2011 (Hebrew). “Israel Anti-Boycott Law an Attack on Freedom of Expression,” July 12, 2011, at amnesty.org. “Not Befitting a Democracy,” New York Times, July 17, 2011, at nytimes.com. A BBC poll of international public opinion conducted in March 2011 revealed that Israel’s influence was among the most negatively rated, competing with that of North Korea, Iran, and Pakistan. Significantly, the study shows that, while positive ratings for Israel in the US, its closest ally and patron, have remained quite stable compared with results in 2010, at 43 percent, negative ratings have climbed by ten points, to 41 percent, making the US public “divided rather than favourable,” as the BBC states. BBC World Service, “Positive Views of Brazil on the Rise in 2011 BBC Country Rating Poll,” March 7, 2011, at worldpublicopinion.org. Frank Barat, “Reframing the Israel-Palestine Conflict,” New Internationalist, at newint.org. Avraham Burg, “When the Walls Come Tumbling Down,” Haaretz, April 1, 2011, at haaretz.com.